What started out as a humble attempt to keep the doors of a few struggling gun clubs open has taken on a life of its own. The High School Clay Target League (HSCTL) started out in 2007 with 3 teams and 30 athletes. Today the league sanctions almost 450 teams made up of over 15,000 athletes in 12 states. What started out of a reaction to an aging membership and declining participation has become a youth movement in the shooting sports. What really exciting the that the HSCTL has reached a new demographic of shooters. The HSCTL has not just reached a new group of hunters in search of practice or comradery. Take a look up and down the firing line and at the team photos, there are as many pony tails as there are camo baseball caps. Essentially HSCTL has taken a sport made up of hunters without a season and made it as socially acceptable as golf, which is no small task these days. HSCTL has built a base of athletes who shoot solely for the athletic pursuit of marksmanship. Currently FLSC hosts three high school teams who have really filled out the the pulling schedule at Gate 2. While everyone is very excited about the youthful vigor HSCTL has breathed into the shooting sports, the question remains will the kids stick with it as adults and if so, it what way? 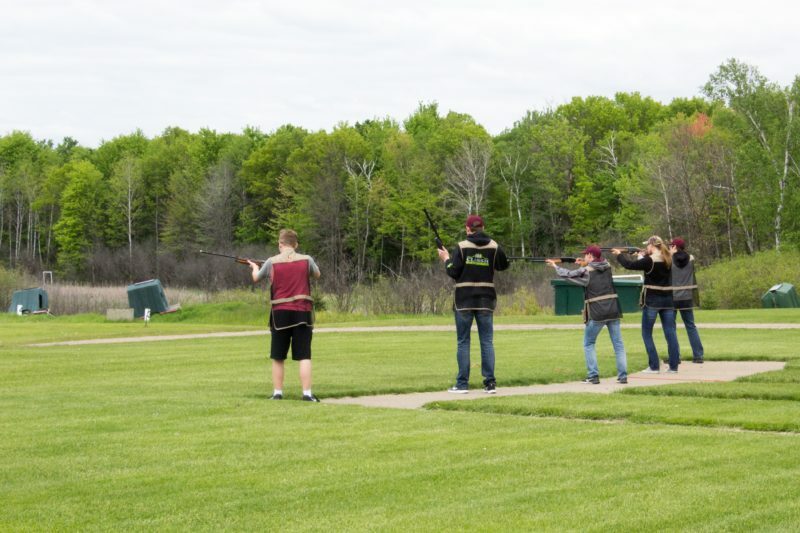 When the first generation of participants in the league returns from college, will they return the olympic clay sports, transition over to sporting clays, or other forms of the shooting sports? While the battle of attraction has been won, the battle of retention is just beginning.